Background: Hydrocarbons degradation is principally achieved by microorganisms in natural environments. The extent of hydrocarbons biodegradation is mainly conditioned by environmental factors and its success depends on the optimal condition for the crude oil degrading isolates. Objectives: The aims of the current study was to isolate and identify crude oil degrading bacterium from surface sediments of Qeshm Island, Iran and to evaluate the efficiency of statistically-based experimental design for the optimization of crude oil degradation performed by the isolated strain. Materials and Methods: Crude oil degrading bacteria were isolated by serial dilutions of bacterial consortium. In order to optimize crude oil biodegradation by isolated strain, Plackett-Burman experimental design was used to evaluate nine factors affecting crude oil biodegradation in twelve experimental trials. To observe the best yield in crude oil biodegradation, factor which had higher effects were considered for the next stage in the biodegradation optimization process using the Taguchi experimental design. Results: A gram-negative bacterium strain signed as KK1- strain (with 98% homology with Marinobacter litoralis) was isolated from enrichment consortium. Among the various variables screened using Plackett-Burman experimental design, pH, temperature, salinity and NH4Cl were determined as the most significant factors and considered for the next stage in the biodegradation optimization process using the Taguchi experimental design. Theoretically, the optimum degradation conditions were determined as: pH = 8, temperature = 35˚C, salinity = 30 ppt and NH4Cl = 1 g.L-1. The validity of the predicted optimized condition was tested by conducting experiment considering the predicted criteria. Biodegradation efficiency of 58.32±5.57% was achieved under suggested condition which was significantly higher than the primary condition (35%). Conclusions: Indigenous bacteria from surface sediments of Qeshm Island were found to be able to degrade crude oil. Our results showed that a combination of the Plackett-Burman and the Taguchi experimental design may be successfully used to find the optimal amounts of those factors for crude oil biodegradation. Hydrocarbons- spilling in the environment, caused by accidents or human activities, is among the most common environmental pollutant (1). Several cleanup techniques emerged to remove petroleum hydrocarbons from the soil in recent years of which bioremediation processes have received the most attention, because of their simplicity, higher efficiency and inexpensiveness when compared to other technologies. Petroleum bioremediation is carried out by microorganisms capable of utilizing hydrocarbons as source of energy and carbon (2). Pseudomonas, Achromobacter, Flavobacterium, Acinetobacter, Vibrio, Bacillus, Arthrobacter, Norcardia and Micrococcus are considered as common oil degraders in marine environments (3). Although a variety of bacteria using crude oil as the sole carbon and energy source have been isolated from the ocean, successful bioremediation depends on environmental factors which could be optimized to achieve more efficiency (4). Conventional optimization procedures are performed by altering one parameter at a time and keeping all other parameters at fixed levels. Consequently, the impact of that particular parameter on the process can be assessed. However, these procedures are time consuming, require more experimental data sets, and they do not provide information about the mutual interactions of the parameters. Therefore, statistical methods should be used for an accurate study of interactions among different factors. The use of multivariate experimental design techniques is becoming increasingly widespread in applied biotechnology. Multivariate designs, which allow the simultaneous study of several control variables, are faster to implement and more cost effective than traditional univariate approaches (5). Persian Gulf is one of the most important water pathways in the world. The Persian Gulf has been remarkably developed for crude oil production, transportation, and exportation. It is now well established that such activities result in contamination of the marine environment by petroleum and its products. Thus, it is expected that oil pollution is distributed on the Persian Gulf and has seriously endangered the marine ecosystem (6). Among Iranian islands in the northern Persian Gulf, Qeshm Island is the largest one which is especially known for its geographical location and economic importance. 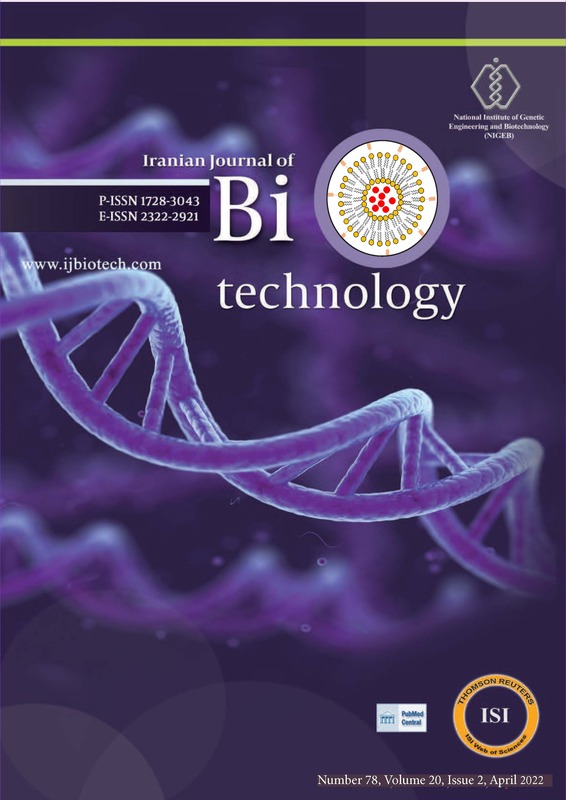 The aims of the current study were 1) to isolate and identify crude oil degrading bacteria from surface sediments of Qeshm Island, and 2) to evaluate the efficiency of Plackett-Burman and the Taguchi experimental designs in optimizing the crude oil biodegradation performed by the isolated strain. To isolate crude oil degrading bacteria, coastal surface sediments were collected from different sites in Qeshm Island, Iran. To enrich bacteria capable of utilizing crude oil, 5 mL of soil samples were added to 250 mL conical flask containing 50 mL mineral salt medium (MSM) (0.5 g.L-1 K2HPO4, 1 g.L-1 NH4Cl, 0.01 g.L-1 FeSO4.7H2O, 1000 mL filtered 40 ppt local seawater) with 1% Iranian light crude oil as the sole source of carbon. The flask was incubated at 30˚C on a rotary shaker at 140 rpm and adjusted to pH=7. Oil utilization in the enriched cultures was monitored by a decrease in the amount of crude oil concentration and an increase in bacterial biomass, then; 5 mL of the enriched culture was transferred to a fresh medium and incubated under the same conditions. This process was repeated for four times to obtain the enriched crude oil degrading consortium. At the end of the enrichment procedure, serial dilutions of bacterial consortium were prepared and 100 µl of each dilution was spread on nutrient agar plates incubated at 30 ºC for 48 hours. Then, bacterial colonies were picked off, and purified by repetitive streaking onto nutrient agar plates (Quelab Laboratories Inc. Montreal, Canada). Purified strains were then identified by morphological and biochemical tests (7). Further molecular identification of the strains was also performed by 16S rDNA gene sequences analysis. For this purpose, DNAs of the isolated bacteria were extracted using the bacterial DNA extraction kit (Roche®- Germany). The isolated strains were then identified by 16S rDNA gene sequence analysis after amplification of the gene by PCR using the set of universal primers 27F (5- AGA GTT TGA TCC TGG CTC AG-3) and 1510R (5-GGT TAC CTT ACG ACT T-3). The reactions were cycled in a Primus 25 advanced® thermocycler with an initial denaturation step at 95 ºC for 5 min followed by 35 cycles of denaturation at 94 ºC for 1 min, annealing at 52 ºC for 1:30 min and extension at 72 ºC for 1 min, and a final extension step at 72 ◦C for 15 min. DNA sequences of the cloned 16S rDNA fragments were compared using BLAST at http://blast.ncbi.nlm.nih.gov/Blast.cgi maintained by National Center of Biotechnology Information (NCBI). In order to assess the utilization rates of crude oil using the isolated strains, microbial inoculums with final optical density (OD600 nm) of 0.15 were passed to the MSM containing 1% crude oil. The same MSM without any microbial inoculum was also retained. The experimental cultures were performed at 30 ˚C at 140 rpm for 7 days. The entire medium for each trial was used for analysis of the rest of crude oil concentrations. The Plackett-Burman experimental design was used to search for relative importance of various factors on crude oil degradation in MSM. The design included eleven variables (nine independent variables with two blank variables) which were carried out in 12 runs in a Plackett-Burman design. Temperature (20 and 30 ˚C); salinity (20 and 40ppt); pH (7 and 9); rpm (100 and 140); K2HPO4 (0.1 and 0.5 g.L-1); NH4Cl (0.2 and 1 g.L-1); Fe2SO4 (0.01 and 0.04); inoculum size (0.05 and 0.2 OD600); medium volume (50-100 mL) and two blanks. The assays were performed in duplicate. High and low level of variables is shown in Table 1. Statistical analysis was carried out with Statistica 8.0 (SoftStat, Inc.). To observe the best yield in crude oil biodegradation, parameter optimization was performed using Taguchi experimental design, L9 (34) selected from the design module of Statistica 8.0 (SoftStat, Inc.) The form, with a total of nine experiments, was used to investigate the effect of four factors, including pH, temperature, NH4Cl concentration and salinity (Table 2). During the optimization process, crude oil was used as the sole carbon source and spiked to the 250 mL conical flask at 10 mL.L-1. Predetermined salinity levels were achieved by adding distilled water or NaCl to the sea water. Inoculation was done as mentioned in Table 2 with final optical density (OD600nm) of 0.20. All inoculated flasks were shaken at 140 rpm for a week. For each experiment a flask containing similar ingredients without bacterial inoculation was prepared as the control to determine any abiotic degradation. All experiments were carried out in triplicate. The entire medium for each trial (50 mL) was used for analysis of the rest of crude oil concentrations. In order to evaluate the accuracy of the Taguchi experimental design, the optimized cultural conditions, were then applied to biodegradation of crude oil and residual oil was estimated after 7 day. Analytical procedures were performed according the process suggested by Mishra et al., with minor modification (8). Briefly, culture media were acidified to pH < 2 and extracted two times in a separatory funnel using 25 mL n-hexane at each step. Extracts were mixed together and dried at room temperature by evaporation of solvents under a gentle nitrogen stream under a fume hood. Then after, the amount of residual crude oil was determined gravimetrically. A gram negative, rod shaped, aerobic, catalase and oxidase positive forming raised colorless colonies was isolated and signed as KK1- strain. Differential phenotypic characteristics of the isolated strain are shown in Table 3. The 16S rDNA sequence obtained from the isolated strain was deposited in the GenBank database (accession number: KF484912) and showed 98% similarity to Marinobacter litoralis. The biodegradation percentage of crude oil by KK1 was found to vary from 13.54% (trial number 1) to 38.68% (trial number 9) according to Plackett-Burman experimental design (Table 1). Our results showed that temperature (˚C), salinity (ppt), rpm, K2HPO4 (g.L-1), NH4Cl (g.L-1), inoculum size (OD600) and medium volume (mL) had positive effect, whereas pH and Fe2SO4 (g.L-1) had negative effect within the tested ranges (Table 4). The Pareto chart illustrates the order of significance of the variables affecting the crude oil biodegradation (Figure 1). The order of significance as indicated by Pareto chart was NH4Cl (g.L-1) salinity (ppt) temperature (˚C) pH- inoculum size (OD600) K2HPO4 (g.L-1). Among the significant factors, NH4Cl, salinity, temperature and pH which had higher effects were considered for the next stage in the biodegradation optimization process using the Taguchi experimental design. During the Taguchi experiment the highest crude oil biodegradation percentage was achieved in trial 9 and the changes in crude oil concentrations in control trials were negligible (Table 2). The ANOVA results of Signal/Noise ratio comparisons at the end of experiment are shown in Table 5. All examined factors showed significant effect (P < 0.05) on crude oil biodegradation. Theoretically the optimum degradation conditions were determined as: pH= 8, temperature = 35 ˚C, salinity = 30 ppt and NH4Cl = 1 g.L-1. The validity of the predicted optimized condition was tested by conducting experiment considering the predicted criteria. Biodegradation efficiency of 58.32±5.57% was achieved under suggested condition which was significantly higher than the primary condition (35%). It has now been well established that the overall efficiency of oil spill bioremediation processes relies on development of optimal conditions for enhanced oil biodegradation rates in contaminated media. A large array of factors may influence the oil biodegradation rates of which presence of microorganisms with the appropriate metabolic capabilities plays a key role during the process. By far, optimized hydrocarbon biodegradation using appropriate microorganisms will be achieved by providing adequate physic-chemical conditions for the microorganisms (9). In the current study, a bacterium strain KK1 (with 98% similarity to Marinobacter litoralis) responsible for crude oil degradation was isolated and characterized using classical and molecular methods from surface sediments of Qeshm Island. In general, those species belonging to the genus Marinobacter are omnipresent in the marine environment, of which M. aquaeolei VT8 (10), M. algicola DG893 (11), M. maritimus (12) and M. hydrocarbonoclasticus (13) are demonstrated as important hydrocarbon degraders in various marine habitats. The appropriate use of statistical experimental design can allow the experimentalist to reduce the complexity of a problem by identifying the important effect factors and focusing future experiments on those factors (14). Due to the large number factors in this study, running experiments would cost time and money, so a Plackett–Burman design was chosen to screen important factors for crude oil biodegradation. The effect of nine medium components and operating conditions were studied and among them NH4Cl (g.L-1) salinity (ppt), temperature (˚C), pH, inoculum size (OD600) and K2HPO4 (g.L-1) were found to be significant for crude oil biodegradation by KK1. Among the significant factors, NH4Cl, salinity, temperature and pH which had higher effects were considered for the next stage in the biodegradation optimization process using the Taguchi experimental design. In the present study, according to Taguchi experimental design pH was found as the most effective factor in crude oil degradation (F=13.69, Figure 2) which may be because of its effects on microbial activity (possibly through altering the enzymatic activity), transport processes and the nutrient solubility (15). In the current study, the degradation was maximal at pH=8, though the biodegradation process was active throughout the pH=6-8. Similarly, Hambrick et al. (16) found increased rates of microbial mineralization of octadecane when pH rose from 6.5 to 8.0. However, Leahy and Colwell (17) have argued that the most petroleum degrading bacterial species can perform degrading action at pH= 6-8 in general. In the recent study, the best biodegradation efficiency of crude oil was achieved at the highest temperatures (35˚C). Temperature is known to play major role in controlling the nature and extent of hydrocarbons being degraded by bacteria (18). At low temperatures, the viscosity of the oil is increased, the volatilization of toxic short-chain alkanes is reduced, and its water solubility is decreased, delaying the onset of biodegradation. In contrast, higher temperatures lead to the increased hydrocarbon metabolism rates, typically at 30 to 40°C range. At higher temperatures, the membrane toxicity of hydrocarbons may be increased (19). In addition, salinity was also found to have a significant effect on crude oil biodegradation (F=5.53, Figure 2). Our results propose 30 ppt salinity as the optimum level for crude oil biodegradation. It has been emphasized that, environmental salinity affects the metabolism and growth of microorganisms. Shiaris (20) found positive correlation between salinity and rates of biodegradation of phenanthrene and naphthalene in estuarine sediment. However, some researchers reported decreased rates of hydrocarbon metabolism when salinity was increased and concluded that this may be because of negative effects of ions on metabolic rates of bacterial cells (15). Finally, the NH4Cl concentration showed significant effect on biodegradation percentage according to Taguchi experimental design (F=3.97, Figure 2). It is now well established that the availability of nitrogen and phosphorus limits the microbial degradation of hydrocarbons in marine environments (9). Treating petroleum-contaminated soil with nitrogen (N) load can increase growth rate of the cell, decrease the microbial lag phase, help to maintain microbial populations at high activity levels, and increase the rate of hydrocarbon degradation (21, 22). However, as found in our experiment, it has been argued that N concentration has ambiguous effects and excessive levels of N can result in deleterious/no effects (23), for example, Natalie et al. (24) revealed that the high concentrations of nutrients may result in inhibited biodegradation of polycyclic aromatic hydrocarbons by Sphingomonas and Mycobacterium strains. In essence, the nutrient requirements for bacterial growth are not constant, and depend on bacterial type, carbon source metabolized and the environmental conditions. In conclusion, the findings of this study showed that indigenous bacteria from Qeshm Island have potential to degrade crude oil. Complete biodegradation could not be achieved within our experimental period (7 days). But it can be speculated that increased biodegradation percentages could have been performed if the treatment time had been prolonged. The statistical methodology, combination of the Plackett-Burman and Taguchi design, was demonstrated to be effective in selecting the statistically significant factors and finding the optimal concentration of those factors for crude oil biodegradation. The work described was substantially supported by Shahid Beheshti University, G.C. Authors don’t have any financial disclosure. Funding for this work was provided by the Shahid Beheshti University, G.C. Mohsen Shahriari Moghadam contributed to statistical analysis and interpretation of data, wrote the manuscript, and is guarantor. Gholamhossein Ebrahimipour and Behrooz Abtahi contributed to the original idea and development of the protocol and critical revision of the manuscript. Nafsa Khazaei and Negin Karbasi collected samples, cultured and laboratory analysis. 1. Bardi L, Mattei A, Steffan S, Marzona M. Hydrocarbon degradation by a soil microbial population with beta-cyclodextrin as surfactant to enhance bioavailability. Enzyme Microb Technol. 2000;27(9):709-13. 2. Ubalua A. Bioremediation strategies for oil polluted marine ecosystems. AJAE. 2011;2 (6):160-8. 3. Watanabe K. Microorganisms relevant to bioremediation. Current Opinion in Biotechnology. 2001;12(3):237-41. 4. Simarro R, González N, Bautista LF, Molina MC, Schiavi E. Evaluation of the Influence of Multiple Environmental Factors on the Biodegradation of Dibenzofuran, Phenanthrene, and Pyrene by a Bacterial Consortium Using an Orthogonal Experimental Design. Water, Air, & Soil Pollution. 2012;223(6):3437-44. 5. Li Y, Liu Z, Cui F, Liu Z, Zhao H. Application of Plackett–Burman experimental design and Doehlert design to evaluate nutritional requirements for xylanase production by Alternaria mali ND-16. Applied Microbiology and Biotechnology. 2007;77(2):285-91. 6. Ebrahimi-Sirizi Z, Riyahi-Bakhtiyari A. Petroleum pollution in mangrove forests sediments from Qeshm Island and Khamir Port—Persian Gulf, Iran. Environmental Monitoring and Assessment. 2013;185(5):4019-32. 7. Holt J, Kreig N, Sneath P, Stanely S, Williams T. Bergey's Manual of Determinative Bacteriology. Maryland: Williams and Wilkins Publishers; 1994. 8. Mishra S, Jyot J, Kuhad RC, Lal B. In Situ Bioremediation Potential of an Oily Sludge-Degrading Bacterial Consortium. Current Microbiology. 2001;43(5):328-35. 9. Das N, Chandran P. Microbial degradation of petroleum hydrocarbon contaminants: an overview. Biotechnol Res Int. 2011;2011:941810. 10. Huu NB, Denner EBM, Ha DTC, Wanner G, Stan-Lotter H. Marinobacter aquaeolei sp. nov., a halophilic bacterium isolated from a Vietnamese oil-producing well. International Journal of Systematic Bacteriology. 1999;49(2):367-75. 11. Green DH, Bowman JP, Smith EA, Gutierrez T, Bolch CJS. Marinobacter algicola sp. nov., isolated from laboratory cultures of paralytic shellfish toxin-producing dinoflagellates. International Journal of Systematic and Evolutionary Microbiology. 2006;56(3):523-7. 12. Shivaji S, Gupta P, Chaturvedi P, Suresh K, Delille D. Marinobacter maritimus sp. nov., a psychrotolerant strain isolated from sea water off the subantarctic Kerguelen islands. International Journal of Systematic and Evolutionary Microbiology. 2005;55(4):1453-6. 13. Gauthier MJ, Lafay B, Christen R, Fernandez L, Acquaviva M, Bonin P, et al. Marinobacter hydrocarbonoclasticus gen. nov., sp. nov., a New, Extremely Halotolerant, Hydrocarbon-Degrading Marine Bacterium. International Journal of Systematic Bacteriology. 1992;42(4):568-76. 14. Cao W, Zhang C, Ji H, Hao J. Optimization of peptic hydrolysis parameters for the production of angiotensin I-converting enzyme inhibitory hydrolysate from Acetes chinensis through Plackett–Burman and response surface methodological approaches. Journal of the Science of Food and Agriculture. 2012;92(1):42-8. 15. Lin C, Gan L, Chen Z-L. Biodegradation of naphthalene by strain Bacillus fusiformis (BFN). Journal of Hazardous Materials. 2010;182(1–3):771-7. 16. Hambrick GA, Delaune RD, Patrick WH. Effect of Estuarine Sediment pH and Oxidation-Reduction Potential on Microbial Hydrocarbon Degradation. Appl Environ Microbiol. 1980;40(2):365-9. 17. Leahy JG, Colwell RR. Microbial degradation of hydrocarbons in the environment. Microbiol Rev. 1990;54(3):305-15. 18. Nedwell DB. Effect of low temperature on microbial growth: lowered affinity for substrates limits growth at low temperature. FEMS Microbiology Ecology. 1999;30(2):101-11. 19. Bossert I, Bartha R. Structure-biodegradability relationships of polycyclic aromatic hydrocarbons in soil. Bulletin of Environmental Contamination and Toxicology. 1986;37(1):490-5. 20. Shiaris MP. Seasonal Biotransformation of Naphthalene, Phenanthrene, and Benzo[a]pyrene in Surficial Estuarine Sediments. Appl Environ Microbiol. 1989;55(6):1391-9. 21. Rasiah V, Voroney RP, Kachanoski RG. Effect of n amendment on c mineralization of an oily waste. Water, Air, and Soil Pollution. 1991;59(3-4):249-59. 22. Walworth J, Pond A, Snape I, Rayner J, Ferguson S, Harvey P. Nitrogen requirements for maximizing petroleum bioremediation in a sub-Antarctic soil. Cold Regions Science and Technology. 2007;48(2):84-91. 23. Zhou E, Crawford R. Effects of oxygen, nitrogen, and temperature on gasoline biodegradation in soil. Biodegradation. 1995;6(2):127-40. 24. Leys N, Bastiaens L, Verstraete W, Springael D. Influence of the carbon/nitrogen/phosphorus ratio on polycyclic aromatic hydrocarbon degradation by Mycobacterium and Sphingomonas in soil. Applied Microbiology and Biotechnology. 2005;66(6):726-36.